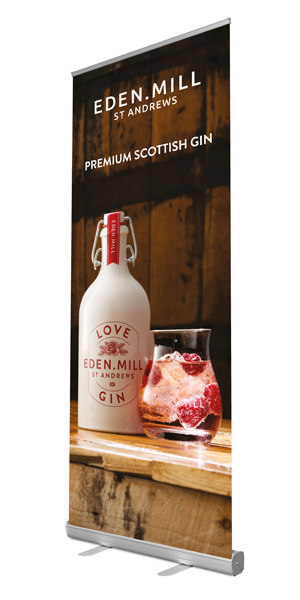 Banner Stands Glasgow, Premium Roller Banners, Roller Banner Stands are Printed in Glasgow Scotland. Welcome to Glasgow Banners we are suppliers of premier roller banners, banner stands and roller banner stands. 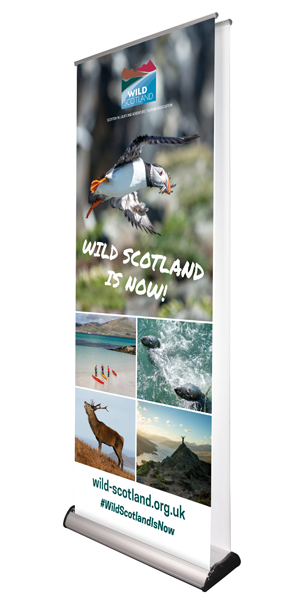 We design and print all our pull up banners in house at our Glasgow Factory for our customers all over the UK. 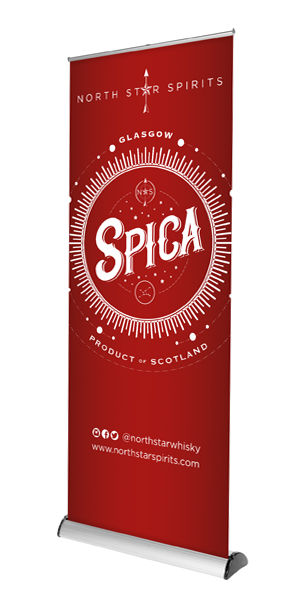 Our friendly, helpful and experienced staff based in the east end of Glasgow are at hand to make the ordering process quick and easy. Glasgow Banners is the online banner department for The Web Print Limited. Celebrating over 25 years in the printing industry. All the Roller Banners at Glasgow Banners are produced in-house, No Middle man or broker, our staff will advise you on the many different Types of roller banner available in today's market, from basic budget rollers for occasional use to top of the line Ultima Barracudas and Excaliber stands for every day use with laminated High quality vivid Prints for ultimate Protection and durability, all our Graphics for our roller banner stands are Printed on a State of the art Solvent Based Printer for excellent scratch and fade resistance. Quick turn around Banners For Quality Exhibition Displays. We supply high quality banners for cost effective outdoor and indoor advertising. Competitive costs, fast printing and easy ordering. We Keep our Stands in stock and are ready within 24 hours or less if necessary. A discount will be given on orders over 5 please call to arrange a quote. Roller banners are probably the best and most popular form of Portable exhibition advertising. Roller banners have many names roller banner stands, pull up banners, roll up banners, retractable banner stands, roll up banners and banner systems. They are ideal for marketing your company, lightweight and highly portable reusable display. All of our Banner stands are free standing and do not need to be attached to a wall with fixtures and fastenings to achieve a point of view. Budget: Roller Banner Stands are an available for all budgets and an affordable advertising tool for your companyor project. Simple Marketing: a quick and easy form of promotional portable signage. Strong and Robust: As most Roller Banner Stands are constructed from lightweight aluminium or sometimes other hard wearing materials, this means that they are less likely to break, fall or twist whilst in use and are resistant to knocks and scrapes when storing or are in transport. Stylish Designs: built to accommodate a printed tensioned banner graphic, we stock a range of stylish stands. Customisable Graphic: The graphic signage panel can be printed with any design. Typical banner designs include a business brand (logo, business name and strap line), a message, and a product or service image. Transportation: Banner Stands collapse down to a small package, are easy to carry and are usually supplied with a padded carry bag ideal for transporting where space may be at a minimum. 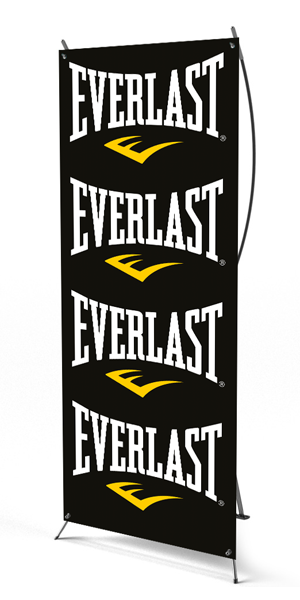 Banner stands are the perfect solution for a light weight, low cost, reusable promotional display. Companies buying banner stands save costs leaving a more expendable budget for attending more UK exhibitions. Our roller banner product range is ideally suited for most small and large exhibition venues: Manufacturer & Industrial exhibitions, trade shows, fairs, conventions, expos, foyers, receptions, showrooms, hotels, museums, retail shops, international conferences and other forms of promotional advertising. Our roller banner stand range offers maximum portability, ease of use, durability and value for money. it is vital that your files meet our artwork guidelines. File supplied must be the correct size with all images saved at the correct resolution and in the right format. Ultima Banner products - The Trade Only Roller Banner Supplier, The exhibition display market leader is Ultima Displays Limited. Ultima are a whole seller and only supply direct to approved distributors. Their products are renowned for build quality, high performance and fast assembly, they also include a 10 year anti fail guarantee on their hardware. We supply a range of lighting accessories to illuminate your banner stand and draw attention to your message. Roller banners are ideal for exhibitions drawing customers in. three or four Roller banner stands can be combined to create a lager display and will be seen within the exhibition environment, they will set the stage and attract the audience. It is possible for roller banner stands to be used as a modular exhibition. Double sided roller banner stands can be used to advertise alternative products or services, ideal when 360 degree traffic is expected like a shopping centre. 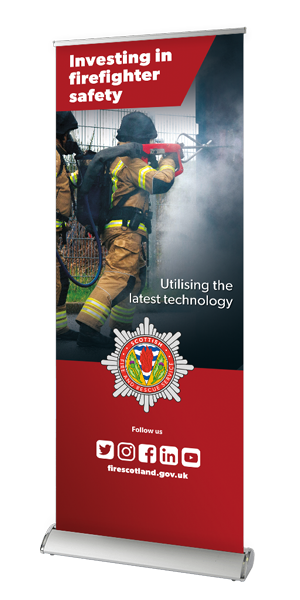 If you need your roller banners in a hurry then please ask us about our quick production capabilities. We offer next day delivery and express printing services.